Superior sound quality, style and a better listening experience are some of the reasons behind the sales of 14 million vinyl records in 2017. But vinyl isn’t just the best way to listen to your favorite band. Vinyl is the best material to choose when it comes to replacement windows in the Mid-Atlantic. Here are six reasons why vinyl replacement windows are best for your Mid-Atlantic home. If you are looking for replacement windows that are maintenance free, high quality vinyl windows like those manufactured by Thompson Creek are your best bet. Unlike wood windows, vinyl won’t warp or rot. And, unlike fiberglass windows, vinyl window won’t fade out by the sun, chip or peel over time. Your only upkeep on vinyl windows is using a small amount of white vinegar to clean the exterior and the interior. Avoid using a power washer that can potentially do damage to the windows. Everyone likes to get a return on their investment. When you install vinyl replacement windows you realize a cost savings on your heating and cooling bills. Vinyl windows are sufficient to handle the Mid-Atlantic temperature swings. Modern vinyl replacement windows by Thompson Creek include double pane windows with a unique warm edge spacer to keep argon gas inside to insulate the window. Vinyl windows can be manufactured in most any size and shape required for your home. That means your design isn’t limited by rectangular boxes. Because Thompson Creek designs, builds and installs all of its windows, our experts can help make sure your vision is expertly executed. Anything less than a custom designed window for custom spaces requires wood shims or additional insulations to create a tight fit and that can translate to a loss in energy efficiency. Vinyl windows can provide a homeowner with a full pallet of colors available with the ability to custom mix colors for a perfect match. Trim options and grid patterns can add to the personality of your home. State-of-the-art manufacturing processes have increased the production capacity and efficiency translating to an affordable price for the consumer. Because Thompson Creek Window Company owns and operates its own facility, there’s no middleman costs for our customers. High quality vinyl windows are welded at the seams which creates a tight seal and prevents air and water from infiltrating the window units. And because the nature of the material is non-corroding and UV resistant the material won’t weaken over time or rust. 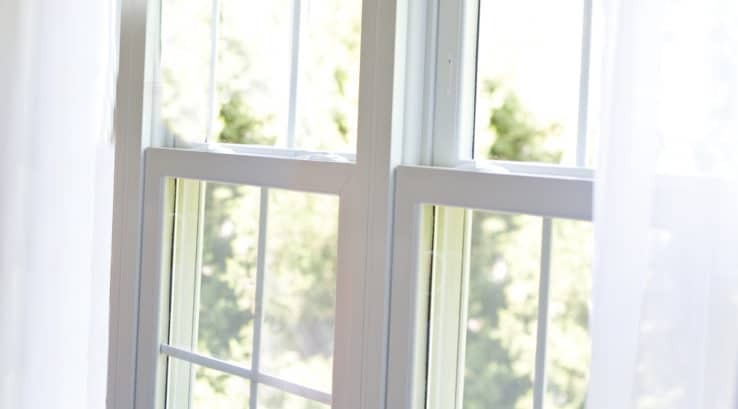 Vinyl may be a bit of nostalgia when it comes to the music industry, but vinyl windows are today’s best choice when it comes to replacement windows. It combines the energy efficiency, durability and curb appeal that make it the preferred choice for homeowners in the Mid-Atlantic. At Thompson Creek we are your source for high quality, energy efficient windows from a company you can trust to design, build and install them just for you. Like all our products, our vinyl windows are backed by our No Hassle Warranty and Buyer Protection Guarantee. Call us today for your free estimate.